Method 1: Just print it! Method 2: Turn your prints into a collage! After everything dried, I cut out some of the cleaner prints and turned them into a lovely and modern collage. 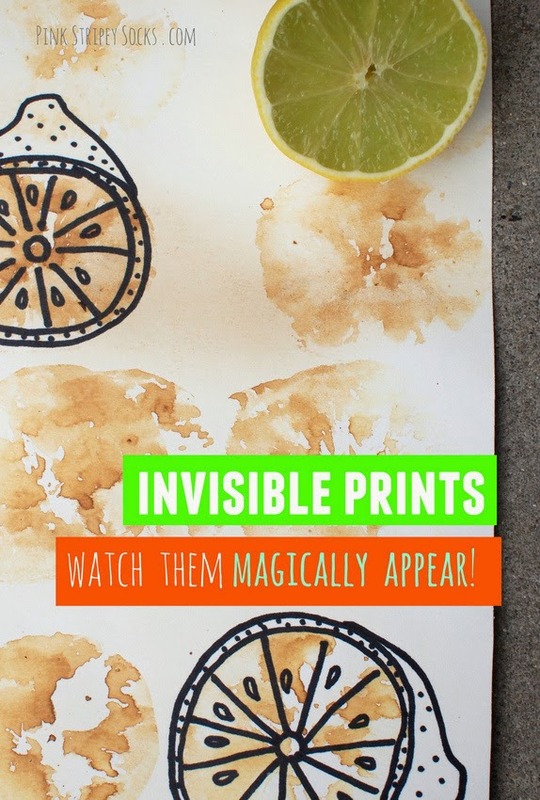 Method 3: Make some magically appearing prints! Yup. You read that right. At first you don't see anything on the page... and then slowly, slowly they're appear! It's magic! (Well, science.) Although this method didn't result in the most beautiful prints, it was the coolest for me by far. The secret ingredient is... lemon juice! 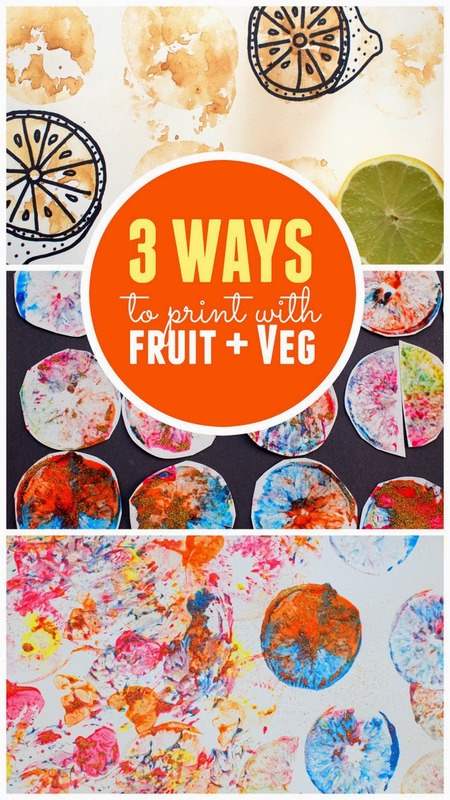 Simply dip your fruit and veggies into lemon juice and start printing away. Once the juice dries, hold your paper over an open flame (using tongs!) and watch your artwork magically appear. (This was one of the techniques I used before to write secret messages to Chuck.) Afterwards, I just used Sharpie markers to doodle on top of the prints. I hope you have fun trying these ideas out with your kids too! 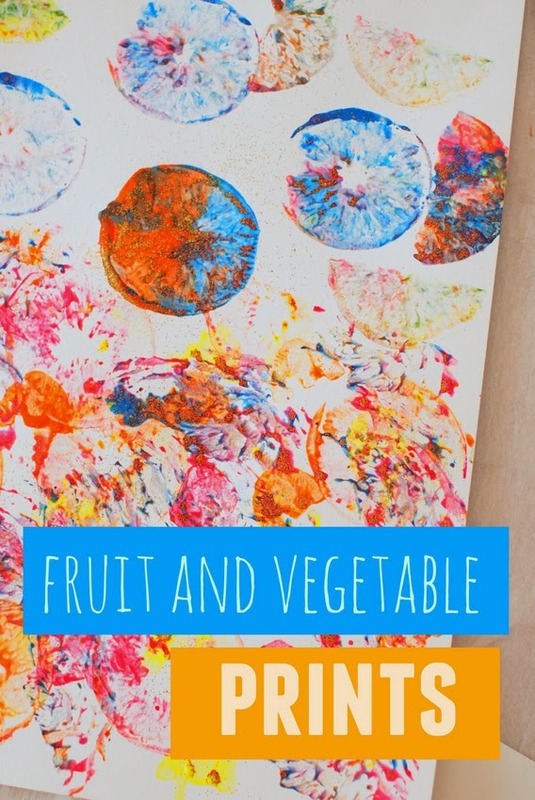 And as promised, here are 10 more fruit and vegetable print crafts!